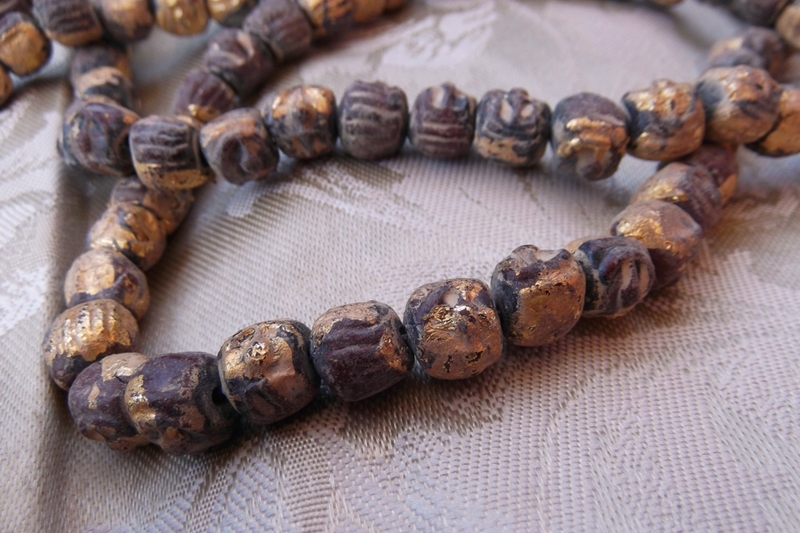 Mala beads are typically used in Buddhist, Hindi, Sikh and prayers for many believers. Our contemporary Buddha mala beads are made of low-fire terracotta clay and feature a range of colors from eggshell to graphite to brick. The beads been accented by gold leaf applied by hand. 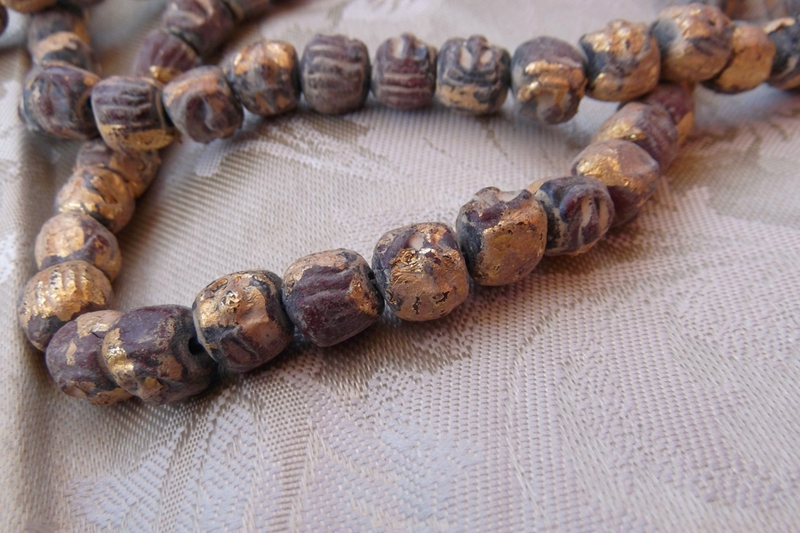 Because these are handmade, the beads will vary in size, shape, coloring and finish. The gold leafing is random and may not be on every bead. 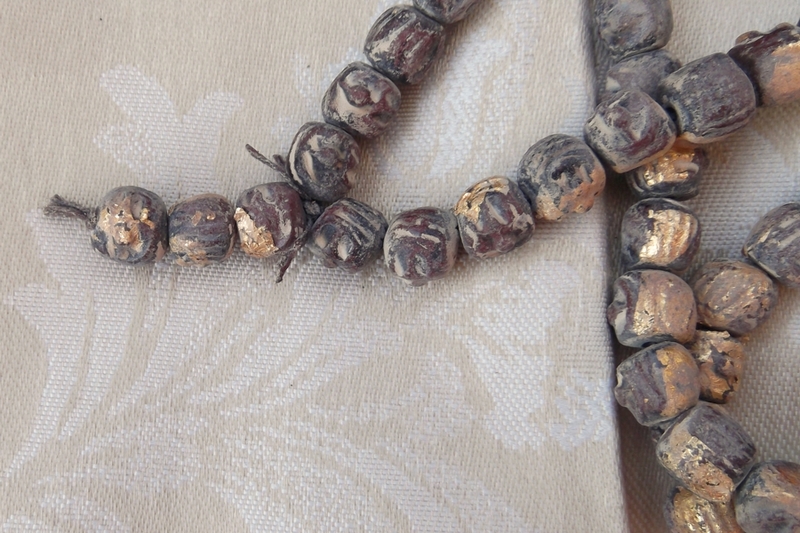 The handmade nature of the mala ensures that each strand is different. But each is similar to the ones in our photos. Please be careful with these due to the low firing and the hand applied gold leaf. If you choose to use these for jewelry, to be safe, be sure to coat the beads with a sealer (we prefer matte) so that they will maintain their quality. It is best not to get these wet. 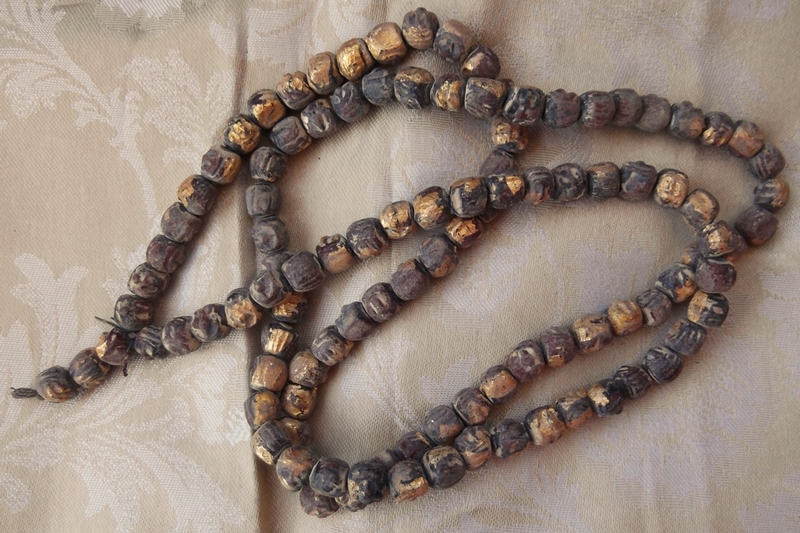 Our sample photos show exemplary beads and mala. When counting with a string of malas, you should begin with a bead next to the drop. If you choose to do multiple iterations with the malas, you should begin the following one with the last bead from the previous. You should never cross the drop, no matter how many iterations you do. You need not use these beads only for prayers however. You could unstring the beads and use them in your own jewelry or artwork. There are 108 beads measuring about 10 mm (about 3/8 inch) with 3 additional beads in the drop. The entire length of the beads is 42 inches with the extra drop measuring an extra 1-1/4 inch. Your glorious mala will arrive in an elegant velvet pouch.